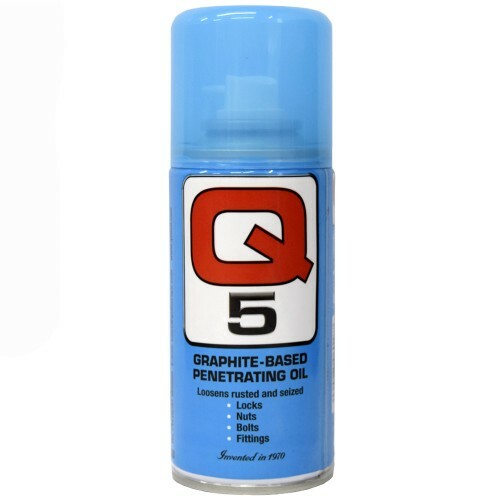 Q5 is a very effective graphite based quick drying penetrant. Breaks down existing grease and grime, leaving behind a film of graphite. For rusted nuts, bolts, pipes and fittings. Silicone free and is safe to use paintwork. 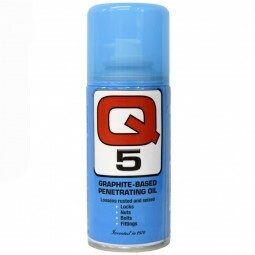 Q5 has anti-static properties which prevent any further ingress of dirt or grime.